2019 Hero Pleasure has been spotted during a TVC shoot. The scooter will receive a facelift this year, which will include visual as well as feature changes. Hero Pleasure is set to receive a facelift this year. 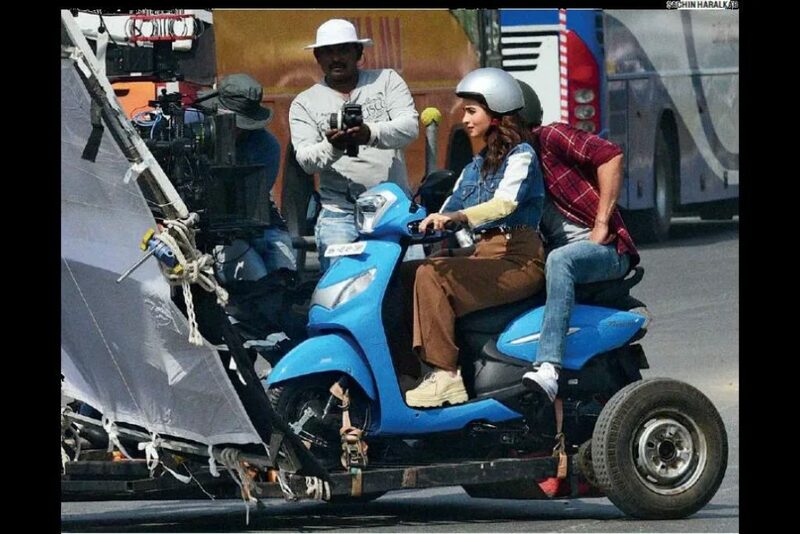 The updated scooter has been spotted during a TVC shoot, in a completely undisguised avatar. It receives major visual upgrades. The front design of Pleasure has been heavily redesigned. The headlamp has been revised and given a new shape. We expect it to be LED headlamps. The turn indicators have also been revised. Basically, the whole profile of Hero Pleasure has been revampled and it sort of looks different now. The rear portion and the grab rail also look refreshed. In my opinion, it actually looks a bit better now. It will also include some feature additions as well. The feature list might be borrowed from Destini 125, which includes a digital-analogue console, side stand indicator, service due indicator, Hero’s i3S technology and much more. Also, the 2019 Pleasure is spotted in a new Light Blue colour shade, with brushed silver accents on the side panel. Looks a bit retro, doesn’t it? Unfortunately, it still gets the unit-linked suspension at the front instead of telescopic forks. Most of the the scooters are moving over to telescopic suspension, in a bid to offer better handling. Speculations suggest that 2019 Hero Pleasure might get the bigger 110.9cc engine, that comes on Maestro and Duet. The motor produces 8 BHP and 8.7 Nm of peak torque, opposed to the current 102cc engine. Most likely, the engine will not be BS-6 compliant. Later this year, Hero might launch all the BS-6 models together. As a result, all the scooters will be available in Fuel Injection system. With the inclusion of FI, Hero Pleasure and other scooters will offer better performance, but a slightly lower fuel economy. Since the TVC is being shot, we can expect the facelift to be launched probably by next month. It will demand a minor premium over its current price of Rs 47,100 (ex-showroom).